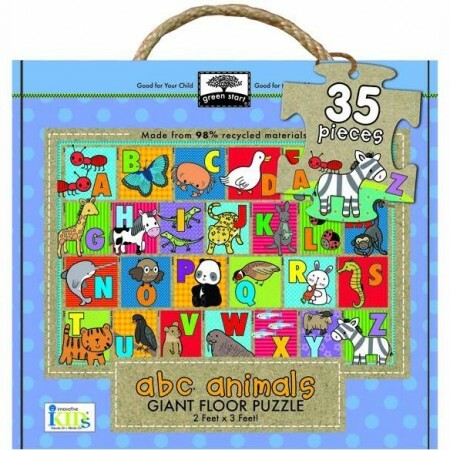 Eco friendly and fun giant floor puzzle with 35 oversized pieces for little fingers to assemble. Made from 98% post-consumer recycled materials and vegetable inks, making them good for your child and good for the earth. Ages 3+ years. 35 colourful puzzle pieces made from FSC certified wood. 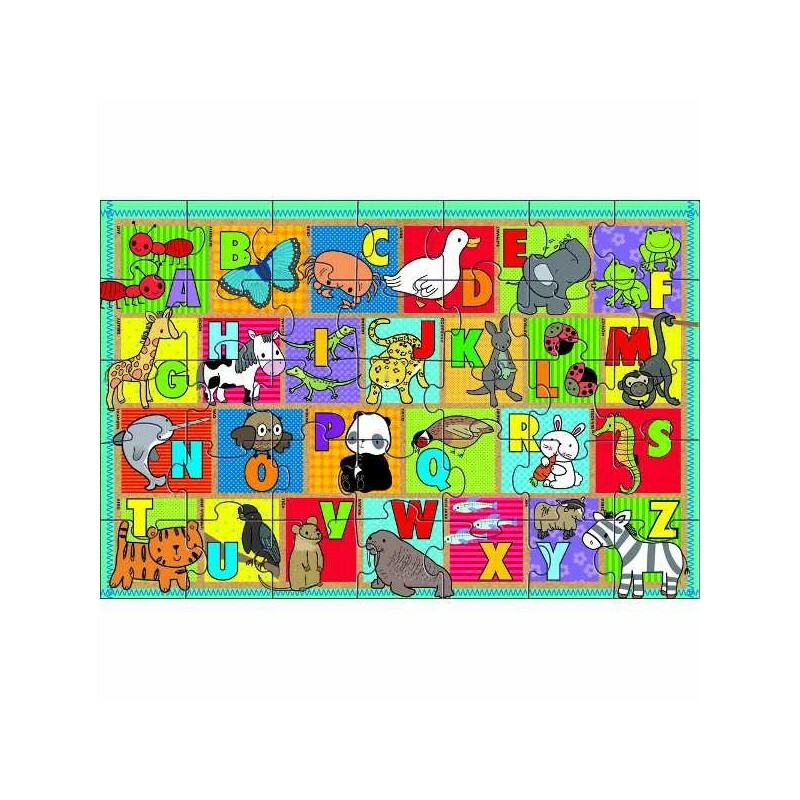 Helps children develop coordination, patience and fine motor skills while also supporting language development with the illustrated alphabet puzzle. Carry case: 25cm x 28cm x 7cm. Completed puzzle measures 91.4cm x 61cm. Please note that the packaging of this product does contain some plastic.